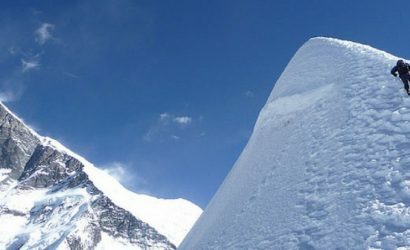 The Pisang Peak Climbing includes trekking in the famous Annapurna Region and summiting the Pisang Peak. The peak is at the Pisang Village from where it rises to form a pyramid like summit. 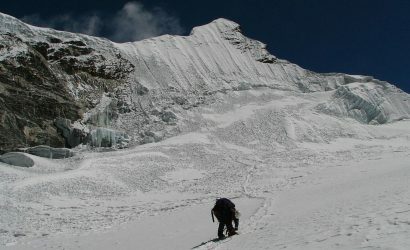 It is among the easier climbing peaks in the Annapurna Region. For this climbing, you need a prior trekking experience and physical fitness. 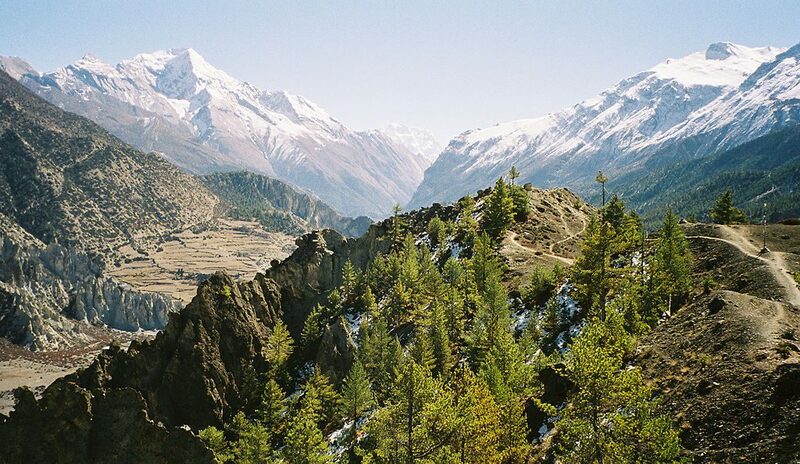 Trekkers can also combine the Pisang Peak Climbing with the classic Annapurna Circuit Trek. The trail also takes you to Muktinath, the temple of salvation. This religious spout is equally popular among the Hindus and the Buddhists. The summit of Pisang Peak offers truly amazing views of the mountains in the Annapurna Range. Spectacular views of the Tilicho Peak, Annapurna II and IV, Gangapurna and the Glacier Dome. This peak climbing will give you an experience of a lifetime. With its rugged mountain views, trekking challenges and an exposure to various ethnic culture, it is a blissful journey. For more information or queries please feel free to contact us. Visit Muktinath Temple, one of the most famous holy temple worshipped by Buddhists and Hindus. Visit Mustang, an ancient forbidden kingdom and one of the remotest areas in Nepal. Cross Thorong La Pass, which is the highest mountain pass in the world. Get the spectacular views of the Annapurna Range like Tilicho Peak, Annapurna II and IV, and the Glacier Dome. After you land at the Tribhuvan International Airport, our representatives will pick you up and transfer you to the hotel. You can either rest or explore around the city. Today you will explore Kathmandu valley and visit the UNESCO world heritage sites. You will visit the Boudha Stupa, Swayambhu stupa, Pashupatinath temple, and the Durbar squares in the valley. After you finish sightseeing, you will start packing for your trek. You will start the day early today to reach Chamje. You will go through Besisahar to Chamje. It's a long beautiful journey via busy towns and remote villages of Nepal. You will spend the night at Chamje. After breakfast, you will start your trek towards Dharapani. The trail follows the uphill trails along the Marsyangdi River towards Tal, a small village at the foot of a large waterfall. The trail then enters the Manang district. You will cross a wide, flat valley before climbing a stone stairway to 180m. After several ups and downs on the trail, you will finally reach Dharapani. You will spend the night at Dharapani. After breakfast, you will start your trek with a rough and rocky climbing to Tyanja at 2360m. 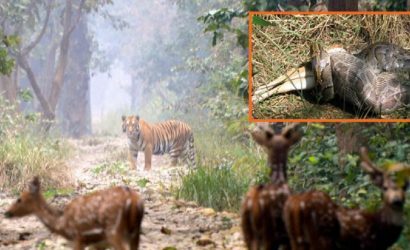 You will then continue your trek through pine and fir forest to finally reach Chame. It is the headquarters of the Manang district. From Chame, you will get a beautiful view of Annapurna II. You will stay for the night at a teahouse at Chame. After breakfast, your trail will follow through dense pine forests and will lead to you a dramatic curved rock face, rising 1,500m from the river. As the trail opens up, Himalayan peaks will surround you all the way to Pisang. Once you are near the Pisang village, you will get a view of the whole of Manang Valley, a wide U-shaped valley between two giant mountains. Night stay at Upper Pisang. Today is rest or acclimatization day at Upper Pisang which is to help you get used to the high altitude. You can either rest or explore Pisang, which is one of those places that shows the best of what Nepal has to offer. From scenery, mountains, culture to the generosity of spirit it will leave you amazed. You will spend the night here at Upper Pisang. After breakfast, you will start your trek to Pisang Base Camp. Today's trail will lead you through a narrow forest and meadows to reach the Base Camp. You will camp in the night at Base Camp. After breakfast, you will start your trek with gradual ascend on the south-west ridge to the High Camp of Pisang. You will get a spectacular view of the Manang Valley on the trail. 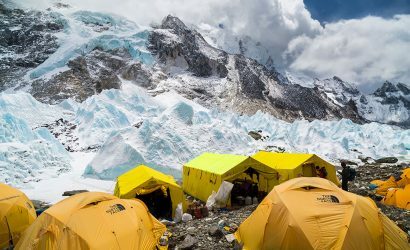 Once you reach the High Camp, the staff will set up the tent and you can start preparations for the summit tomorrow. The guide will run one last check on your equipment. And give you lessons on peak climbing techniques and the proper way of using climbing gears. You should have an early night for you will be starting your day at early dawn tomorrow. You will start your day before dawn today. This is the main day of your Pisang Peak Climbing. After breakfast, you will follow the lead of your experienced guide to the summit of Pisang Peak. Today's trail will be mostly on rocky surfaces. The peak is steep hence not much snow. The last leg of the climb is on a steep and snowy slope, a fairly difficult climb but without much hurdles. Once on the peak of the mountain, you will get breathtaking views of the Lamjung Himal, Annapurna II, and Annapurna IV. After spending some time at the peak, you will return to the base camp via the same route. Spend the night at Base Camp. After breakfast, you will start your trek towards Pisang Village. From Pisang, you will choose the trail which passes through Upper Pisang via Geru. This route guarantees amazing views of Mt Annapurna, Pisang Peak, and others. Once in Manang, you can explore Manang and visit Barge Monastery which is the biggest in the Manang district. After your breakfast, you will start your trek to Yak Kharka. 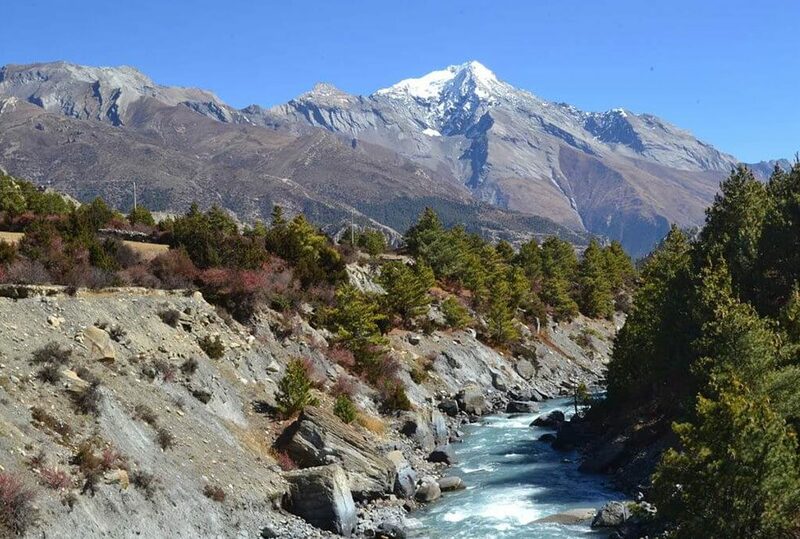 On today's trail, you will cross a stream and climb the villages of Tenki above Manang. It then continues to climb out of the Marshyangdi Valley turning northwest up the valley of Jarsang Khola. You will follow this valley northward, passing a few pastures as it steadily gains elevation. The trail further passes near the village of Ghunsa. The trail then goes through meadows which is a grazing place for yaks and horses. After you cross a small river on a wooden bridge, the trail will pass an ancient old Mani wall. And finally, you will reach the Yak Kharka village. Here you will rest for the night. After breakfast, you will start your trek with an uphill walk to Thorong Phedi. You will cross a suspension bridge after walking for a while and reach the Ledar Village. You will ascend further and pass through cliffs before reaching Thorong Phedi. 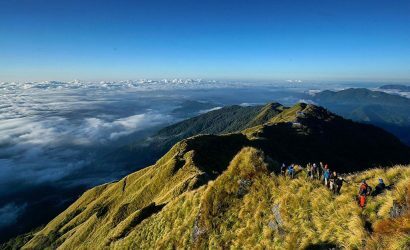 Today's trail will give you one of the best views of Mt Gundang, Mt Syagang, Thorong Peak and Mt Khatungkan. You will stay at Throng Phedi. On today's trail, you will cross the Highest passes in the world, the Thorong La Pass. You will start early in the morning and climb the Thorong La Pass. While climbing you will get a mesmerizing panorama of the Annapurna and Chulu mastiffs. After some time at the pass, you will descend via the same path. And then proceed towards Muktinath which is just below the Thorong Phedi. You will rest at a lodge or a tea house at Muktinath area. Muktinath temple is also known as the temple of salvation. It is an important pilgrimage site for both Buddhists and Hindus. After breakfast, you will take a tour of the temple and continue your trek to Jomsom. Jomsom famous for its apple and strong winds is the headquarters of Mustang. You can visit the ecological museum here. You can collect information on the culture, traditions, flora, and fauna found in this region. Today is the end of your trek, from Jomsom you will fly to Pokhara, the city of lakes. Once in Pokhara you can rest in your hotel or visit the lakeside and chill. You can also shop for souvenirs. Overnight at Pokhara. 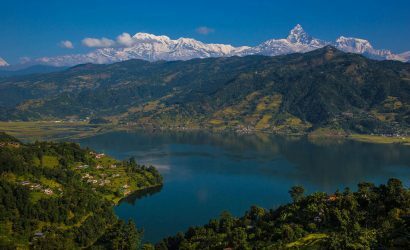 After breakfast, you will leave the beautiful lake city, Pokhara and drive towards Kathmandu. On the way to Kathmandu, you will get beautiful views of the landscape and the mountains far away. Once you reach Kathmandu, you can celebrate your successful climb to Pisang Peak and bid farewell to your crew. In the evening you will enjoy the farewell dinner organized by our team and share about your trip memories. Your adventure comes to an end, we hope you had the best experience with us. Our staff will drop you to the airport as per your flight schedule. We hope to see you soon.